In BBC Radio 4’s Feedback on Friday, host Roger Bolton introduced a classic edition of Corporation Complaints Stonewalling. The subject? Primarily coverage of Brexit. The message? As always, the BBC is getting it right. Element one, carefully orchestrated by Bolton, was to convey that the BBC was receiving complaints that its Brexit coverage was biased from both ‘sides’, those who supported Brexit and those who opposed it. Because of this, it was risibly suggested, complaints of editorial imbalance must be unfounded. Element two was that two BBC bigwigs – Gavin Allen, controller of daily news programmes, and Ric Bailey, chief political adviser – confirmed why, in their view, the BBC’s coverage was completely impartial and met Charter requirements. Element three was that Today presenter Nick Robinson – now seemingly firmly ensconced as the Corporation’s defender-in-chief – was wheeled out to defend the relentless tide of anti-Brexit negativity. None of the three men produced a shred of credible, verifiable evidence to support their claims. Their approach boiled down to that they know what they are doing; anyone who disagrees is simply deluded. Reading the programme transcript confirms that these BBC luminaries truly believe this, and have constructed elaborate, self-justifying arguments to support their stance. Allen, for example, argued that the BBC’s only fault in this domain is actually that it doesn’t explain enough its internal processes. If listeners and viewers only knew how hard he and Corporation editors think about bias, they wouldn’t complain. Poppycock! What actually seems to be the case is rather that Bolton, Allen, Bailey and Robinson – and seemingly all of the BBC’s battalions of journalists – are locked in a bubble of their own making and can’t see the acres of bias they churn out each week. This is confirmation bias. Exhibit A, based on the BBC output being broadcast as the four men were congratulating themselves on their journalistic brilliance and rectitude, is an analysis conducted last week by Craig Byers of the website Is the BBC Biased? Using a monitoring service called TV Eyes, Craig painstakingly tracked every mention on BBC programmes of the word ‘Brexit’ between Monday and Friday last week (April 16-20). What he found was a deluge of Brexit negativity. Craig’s blog needs to be read in full to appreciate the sheer scale. It permeated every element of its news output and even percolated down to BBC1’s The One Show and EastEnders, which had a pointed reference to these ‘tough Brexit times’. In the BBC’s world, Brexit was a threat to EU immigrants (in the context of the Windrush developments), to farmers, to interest rates, to airlines, to personal privacy (via Cambridge Analytica), to house prices, to security in Northern Ireland, and more. Among all these sustained mentions of the problems, the positive words about Brexit could be counted virtually on the fingers of one hand. Exhibit B was mentioned by Ric Bailey on Feedback in an attempt to show that Brexit coverage was balanced. It did no such thing. He instanced that during a special day about Brexit on Radio 4 on March 29, the corporation had broadcast a half-hour programme called The Brexit Lab about the opportunities of Brexit. It suggested, for example, that environmental controls could be tougher and that British Rail could be re-nationalised once the UK was freed from the EU’s regulatory shackles. What Bailey did not say, however, was that the remainder of this special programming – including an edition of Today, sequences on The World at One and The World Tonight, plus two much longer programmes, one about the historical relationship between Britain and ‘Europe’ (45 minutes), the other about reaction in EU countries to Brexit and their views about the future of the EU (60 minutes) – was heavily dominated by Remain themes and Remain speakers. The suspicion must be that The Brexit Lab had been devised and broadcast as a figleaf. Within days, it was being used by one of the corporation’s most senior editorial figures as ‘proof’ that its Brexit output is balanced. The reality is vastly different. Craig’s analysis above, plus News-watch reports that can be seen here, provide voluminous evidence that since the EU Referendum, the BBC has been engaged in an all-out war to undermine Brexit. And even concerning March 29, which the BBC trumpeted as evidence of its ‘balance’, senior executives seem totally and even comically unaware that the reverse is true. The Brexit Lab was totally swamped by other negative programming. Whatever the reason, the pro-EU, anti-Brexit propaganda spews forth regardless. ROGER BOLTON: Hello is the BBC the (montage of voices) Brexit, Brexit, Brexit, Brexit (montage ends) Broadcasting Corporation? We’re devoting most of this last programme of the present run to your criticisms of the BBC’s Brexit coverage. And respond to them we have a veritable galaxy of the Corporation’s frontline journalists and executives. NICK ROBINSON: I’m Nick Robinson presenter of the Today programme and formerly political editor of the BBC. GAVIN ALLEN: I’m Gavin Allen, controller of daily news programmes. RIC BAILEY: I’m Ric Bailey, the BBC’s chief political adviser. RB: And arguably the most talked about BBC Radio programme of the year. ACTOR PLAYING ENOCH POWELL? : It’s like watching a nation busily engaged in heaping up its own funeral pyre. UNNAMED SPEAKER: When I read that actually they were going to play the whole speech, I was flabbergasted. ROGER BOLTON: Rivers of Blood. We hear from the man who commissioned that controversial documentary about Enoch Powell’s infamous speech. But we begin with Brexit. Almost two years ago, just under 52% of those who voted in the referendum said they wanted to leave the European Union. 48.1% voted to remain. The Kingdom is still bitterly divided. Time was when the vast majority of complaints to Feedback of Corporation bias came from the Leave side; in recent months though, in part due to a concerted online campaign, we have been receiving many more from Remainers who routinely refer to the BBC as the Brexit Broadcasting Corporation, accusing it of tamely towing the government line. Here’s a sample of some of those comments from both sides of the Brexit divide. SUE KING: I’m Sue King, and I’m from Herefordshire. I’m dissatisfied with and disillusioned by the BBC’s coverage of Brexit. In news and current affairs programmes I’m frequently aware of a pro-Brexit bias in subtle ways, particularly in the Today programme. Interviewers let misleading statements by Brexiteers go unchallenged. ANDY FRANKLIN: My name is Andy Franklin and I live in Suffolk. The problem as I see it now is that the BBC can deny biased against Brexit until it’s blue in the face, but just about everyone I’ve ever met who voted Leave has come to that conclusion in droves. Even on the morning after the vote, the very first interview broadcast was some University Professor declaring that all the intelligentsia had voted Remain and all the thickos had voted Leave, a bias the BBC has been peddling ever since. JONATHAN MILES: I’m Jonathan Miles, and I’m from Woking. Given just how important this issue, the BBC really has done little to educate the public on important aspects of how the EU works and hence what are the likely or possible consequences of leaving. MARGARET O’CONNELL: Margaret O’Connell. In a democracy you accept the result and move on, it is over. JULIAN GREEN: Julian Green: ‘Why does the BBC always refer to ‘when’ the UK leaves the EU, when properly, it should be ‘if’ – the BBC are promoting a falsehood. ROGER BOLTON: Listening to those critical comments are Ric Bailey, the BBC’s chief political adviser, Gavin Allen, controller of BBC daily news programmes, and the Corporation’s former political editor, now Today presenter, Nick Robinson. Could I start with you, Ric Bailey, and that point Margaret O’Connell makes, she says ‘It’s over, move on,’ and yet you also heard Julian Green say, ‘You’re talking about when we leave, it should be ‘if’.’ Should it be ‘if’? RIC BAILEY: I think you’ve got to look at the context of what you’re talking about. There’s been a referendum, one side has one, both major parties have gone into a general election saying that they will put that referendum result into effect. And, of course, it’s possible that all that may be reversed and the political reality may change, and so both ‘if’ and ‘when’, in different contexts might be entirely appropriate. It’s not for me to send out pieces of advice to individual journalists like Nick, telling them individual words they should and shouldn’t use. ROGER BOLTON: Alright Nick, would you use ‘when’ or ‘if’. NR: I’d use both. And I would use both. The truth is, a decision was taken in the referendum. The government is committed to the decision, the Labour Party is committed to that decision, there’s an overwhelming majority in the House of Commons who say that they voted for it, they voted for Article 50. But it is occasionally worth reminding people this could be overturned, if the public changes their mind, if there was a different vote in Parliament, but let’s not treat it as if . . . no one thinks that we’re going to leave in March 2019, that’s the overwhelming likelihood, but people who want something else to happen want is to try and say that. ROGER BOLTON: And Gavin Allen, when people use the expression, ‘The country has decided’, don’t you feel like saying, ‘Well has it?’ I mean, Scotland has decided they’d like to remain, Northern Ireland say it would like remain, Wales, yes, and England decided that they would like to leave, but to what extent can you say ‘the country has decided’? GA: I think you have to, you know, it was a UK-wide referendum, and it was 52-48 and we have to reflect that. So, I think that . . . that’s not to say that we won’t hear views in Scotland, he views in Northern Ireland, across the English regions and Wales that are very different to the outcome of that referendum, but it’s no good pretending that, well, hold on, Peterborough voted this way, so you should reflect that in . . . so it wasn’t the country after all. ROGER BOLTON: Could I ask you Nick, do you think that there is a campaign against the BBC at the moment? Now, we’ve heard Lord Adonis talk about the Brexit Broadcasting Corporation, a number of people have used that phrase, we do seem to be receiving quite a number of emails that appear to be written for people, shall I put it in that way, is there a real active campaign going on to stop Britain getting out? NR: I don’t think there’s a campaign, there is a campaign, it’s clear there is. The very use of the hashtag #BrexitBroadcastingCorporation on social media is evidence of a campaign. Now, people are entitled to campaign, we get campaigns all the time, only the . . . about a year ago, there was a campaign by Leavers to say that the BBC was biased, there was a complaint about my questioning. We get campaigns all the time, but let’s not be in any doubt that when people start using the same words and the same critique, they’re trying to put pressure on us. Now, it doesn’t mean that the things we heard in your introduction from listeners aren’t genuine, a lot of people feel really, really angry about this, they hope that the country will change its mind, and they’re entitled to do that, but we’re also entitled to . . . to say, as I have in number of recent articles, we know what’s going on here, there’s an attempt to try to shift us. GA: But it’s important as well, it doesn’t mean that we dismiss – and I know Nick’s not saying this either – we don’t dismiss the campaign, so the fact that it is a campaign, the fact that we can recognise it as such, doesn’t mean there won’t be sometimes perfectly legitimate points they raise that make us stop and think, well, actually . . . we do need to tweak our coverage on that element, or do need to give a bit more to this, that we’ve underplayed. ROGER BOLTON: Can I just finish this section, Nick, by asking you, if you’re optimistic, you see the opportunities that the Brexit gives us, if you’re pessimistic, you see all the problems that exist in trying to change our arrangements. Of course, it’s easier for journalists to look at the pessimistic side. When you’re trying to deal with the opportunities, that’s more difficult to construct a discussion about, do you think that’s a problem that you have? NR: Well, it’s undoubtedly a challenge, I think that’s absolutely right, and the key therefore is to hear from people who can, as it were, see it optimistically. That’s why you will occasionally get a Dyson on, for example, James Dyson who’s in favour of leave, or the boss of Wetherspoon’s, we will have him on because he is able to say, ‘This is how I see it’, now the difficulty for listeners who are Remainers then they go, ‘Well why is he saying that, why isn’t he challenged?’ Well, we have them on in order precisely to say that there is another way of looking at this to the way that you do . . .
RIC BAILEY: But there was an entire programme . . .
NR: The problem with predictions, Roger, there is in truth, you can’t prove a fact . . .
ROGER BOLTON: It’s not factual, it’s not factual. NR: . . . about someone’s vision of the future. You can’t do it. It’s not that the BBC isn’t robust enough to do it, you can’t. RIC BAILEY: And incidentally, there was an entire half-hour programme which Iain Martin did on Radio 4 a couple of weeks ago, precisely on that point about the opportunities Brexit, so they are there, and we are, you know, it’s an active part of our journalism. ROGER BOLTON: Ric Bailey, Nick Robinson and Gavin Allen, thanks for the moment. A little later will be digging deep into the whole issue of balance and due impartiality. Moves on to discuss Enoch Powell programme. ROGER BOLTON: And now back to . . .
MONTAGE OF VOICES: Brexit, Brexit, Brexit, Brexit, Brexit. ROGER BOLTON: Still with me in the studio is Ric Bailey, the BBC’s chief political adviser, Gavin Allen, controller of BBC daily news programs, and the Corporation’s former political editor, now Today presenter, Nick Robinson. Now, we’ve already touched on issues of impartiality with respect to the BBC’s coverage of Brexit. 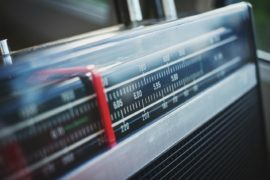 Although it might sound like a contradiction in terms, if Feedback listeners are anything to go by, balance and impartiality are in the eye of the beholder. JOHN NEWSON: John Newson. I do hear BBC Radio 4 broadcasting as the voice of Remain, giving others a daily diet of scary stories about how Brexit will harm Britain. This doesn’t seem very factually based, because Brexit has not happened yet. FERN HANSON: This is Fern Hanson from Woking. The audience would be much better informed of the facts around Brexit if the BBC moved away from a political balance towards facts balance. In pursuit of a fact balance it should be noted that there is a huge consensus amongst professional economists regarding the negative economic effect of Brexit. I have never witnessed the BBC demonstrate this disparity in analysis. Each side get equal prominence and time programmes. ROGER BOLTON: Well, let me take up Fern Hanson’s point, with Ric Bailey. Should you move towards a facts balance, rather than a political balance? Is that possible? RIC BAILEY: Well, facts are just there to be reported, you don’t balance facts, you have fax and you say what they are. One of the issues with Brexit is that a lot of this is looking forward, it’s about trying to work out what is going to happen, which, by definition is often speculative or it’s something where different people have different views, they are in the end judgements. So you’re not balancing facts as such. Balance is something which, during the referendum there was a binary choice, between Remain and Leave, and we were very careful to make sure that we heard from both sides, not necessarily equally, but we did represent facts in the sense of saying, ‘Look, the balance of opinion amongst big business is this – but there are other voices’, since then, that binary choice has gone away, because we now have impartiality in the sense of trying to make sure that all those different perspectives . . . is Theresa May now a Remainer or is a Leaver, of course, she is the person who is actually putting into effect that choice. So that idea that there is now a simple choice between Remain and Leave is no longer there. ROGER BOLTON: But haven’t you put it too simply yourself, because the people voted to Leave, they didn’t vote on the destination, and there is an argument, which one keeps hearing, ‘Why wasn’t the BBC exploring the destinations,’ because people voted, if you like, to jump, but not know what we were going to jump to? RIC BAILEY: I think it would be hard to say that we haven’t been doing that. We’ve been giving a huge amount of coverage to Brexit and to the negotiations and to all the different possibilities. I think we are doing that, Roger, actually. GA: We’ve also talked, we’ve also talked about Canada+++ as an option, or Norway the model, or the Swiss model, I think we are looking at lots of different ranges of outcomes for this. And also just . . . I think one of the dangers as well, of balance of facts, as if, if only everyone had the core facts they would make the ‘correct’, in inverted commas, decision and we would all agree on it, it does ignore the fact that in the referendum, in any election, there is visceral emotion as well, there are things that are not to do with facts, or that you don’t even hear the facts that you disagree with, it’s a blend of these things. ROGER BOLTON: Nick, can I bring up an article you wrote for the New Statesman recently, stressing the importance of impartiality, in part in response to an earlier article by the LBC and, at one time, occasional Newsnight presenter, James O’Brien, where he was arguing that media impartiality is a problem, when ignorance is given the same weight as expertise. NR: The assertion made by your listener is that if only people knew the facts, we’d know, the assertion made by James O’Brien is that, you know, look, don’t put on someone who is ignorant. Who decides this? Who is this person who drops down from the skies and says, ‘This is true, and this is not’ . . .
ROGER BOLTON: Well . . .
NR: Now, in certain cases it can be, Roger . . .
ROGER BOLTON: Well it can be known about climate change . . .
RB: . . . and for example we see a case reported last week, where Ofcom said that one of your fellow presenters didn’t actually do what he should have done which is to say Nigel Lawson was factually wrong about something he claims. So, people also want to know are you prepared to do that and, actually, are you prepared to do that about Brexit? NR: (speaking over) Goodness, yes. And, and . . . yeah. RB: (speaking over) And are you sufficiently well informed, do you think? NR: Not only, not only do we want to do that, but the BBC apologised for not doing that in that particular case. Here’s the point though, it won’t often apply to things that passionate Remainers and passionate Leavers see in their own minds as a fact, but in fact are a judgement or a prediction, or an instinct or an emotion. The BBC’s job is to hear from people who have unfashionable views, and where possible we should always challenge them and if we don’t get it right, and of course we won’t always get it right, you know, I’m here, I got up at 3:30 in the morning, I’ve done about 10 subjects already, occasionally you will make mistakes, then we explain why we didn’t get it right. But it’s not a conspiracy. ROGER BOLTON: Well, I’ll just, if I may, wrap up this discussion by asking you to stand back a little bit and just reflect on what you’ve learned over the past 2 to 3 years. And one of the things that’s struck me very much is the amount of anger out there, and people irritated, fearing that you, all of us around this table are out of touch and have ignored them. Nick Robinson, does any of that, across to you? NR: Oh yeah, you can’t help but listen to the views that we’ve heard on this programme and think, there are people deeply, deeply frustrated and anger . . . angry about it. And I . . . what I take away from this, why I wanted to appear, I could keep my head down and just do my normal interviews is, we think about this, we agonise about it, we debate much more than people often think, and why do I know this is true? Not because I’m virtuous about it, anybody who comes to the BBC from papers, anybody who comes from commercial telly, where I’ve worked, goes, ‘Boy, you spend a lot of time worrying about this’. I would urge listeners one thing though: we do it with the best of intentions. Not that we get it right, we don’t always get it right, we sometimes get it wrong but if you complain with some sense that there is a conspiracy, people will tend to put their fingers in their ears, and go, ‘You know what, we know there isn’t.’ If you say, ‘We just don’t think you’re getting this quite right, you’re not reflecting us’, you will be listened to. ROGER BOLTON: Gavin Allen, have you changed anything as a result of the last 2 or 3 years, in the way you approach the programs and what you’ve told your producers and your reporters? GA: Well actually, funnily enough, one thing, sort of picks up on what Nick’s just said, which is behind-the-scenes, we have all these discussions, endless debates, and one of the things I do think the BBC is probably quite bad at showing our workings. I think we can’t plead that we are really battling this every day, we’re having long debates, editorial policy discussions, really self-analysing everything we do, and then not come onto a program like this. I think there’s also, the other thing I’ve learnt I guess, it’s not that we don’t do this, there is a bit of a default in journalism, not just the BBC, in journalism of ‘where’s it gone wrong, who can we get?’ rather than actually people are desperate for an explanation of just what is happening, just explain it to us. And I do think that we could do more on that as well, as well as the politics of what’s going wrong, on both sides. ROGER BOLTON: And Ric Bailey, final word from you? A BBC boss in the past once said, ‘When the country is divided, the BBC is on the rack’, are you actually enjoying being on the rack? GA: (laughs) We’re enjoying Rick being on the rack. RIC BAILEY: ‘Enjoy’ is probably not the word I’d pick out. Erm, but I think it’s true that when you have something as polarised as a referendum, that it does divide opinion in a way which is different from other sorts of elections, I think people understand what impartiality means when they’re talking about normal politics, and the Conservatives and Labour and government and opposition. I think what happens in a referendum when you are literally given the choice between X and Y, is that people find it really difficult not just to understand that other people have a different view, but they are entitled to put it, the BBC should be there to do it, and the BBC should scrutinise that very clearly. And I suppose the last point about that is, accepting completely what Gavin says about we should concede when we get it wrong, and Nick has said that as well, and we should be analysing this and making sure we’re getting it right. We also sometimes need to be really robust against that sort of political pressure, and by that I don’t just mean the parties or the government, but I mean campaigns who are trying to influence us because they know that on the whole, people trust BBC, that’s why they want us to change what we’re saying. ROGER BOLTON: Well, I’m afraid that’s all we’ve got time for, my thanks to Rick Bailey, the BBC’s chief political adviser, Nick Robinson from the today programme who’s been up since 3.30, and Gavin Allen, controller of BBC daily news programmes. The third series of the BBC Radio 4 programme ‘Brexit: A Guide for the Perplexed’ was broadcast on five consecutive days between 19 February and 23 February, 2018. Each programme was 12 minutes long and was presented by the BBC’s EU ‘Reality Check’ reporter, Chris Morris. 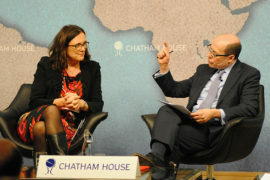 Each edition dealt with the projected impact of Brexit and there were five separate themes: the UK pharmaceuticals sector, food and agriculture, the future of British Overseas Territories (the featured ones were Gibraltar and Anguilla), the regions of the UK outside London, and the so-called ‘transitional phase’ after March 2019. It was projected as an objective examination of the issues of Brexit, but it was not. Instead, Chris Morris and the programme team assembled and edited a range of contributions which were overwhelmingly biased against Brexit and pro-EU in their outlook. The pessimism was heavily compounded by the comments and opinions of Chris Morris, who spoke 49 per cent of the words across the five programmes. His positive points are detailed in Part Two and were a very minor part of the programmes. Mostly, Mr Morris amplified the negativity of those gloomy about the impact of Brexit, and he strongly challenged or cut short those who made positive points. His primary intent seemed to echo the ‘walking the plank’ metaphor introduced in the final programme. Mr Morris did not tell listeners in his introductions and commentary that some of the key contributors who were negative about Brexit had clear pro-EU views and had been campaigners for Remain since before the EU Referendum. One, Professor of Law Catherine Barnard, held the Jean Monnet chair at Cambridge, and was thus at least partly paid for by the EU. This boils down to that BBC ‘Reality Checking’ is a complete misnomer. In this series, the BBC seemed intent to cram into 60 minutes as many potential problems about Brexit as it could, with only a fig-leaf acknowledgement of the belief that it presents the UK with vibrant new opportunities. Readers of this site will need little persuading that the BBC’s coverage of Brexit is biased. The Corporation vehemently denies it of course, but since the referendum vote, they have been seemingly on an all-out mission to find every reason why leaving the EU is disastrous for the UK – and to avoid reporting the benefits. Hillary Clinton, on a book plugging visit to London, claims the Brexit result was based on a ‘big lie’? Immediately it’s a BBC headline. Wages aren’t rising in pace with the cost of living? Another ‘hold the front page’ moment ‘because of Brexit uncertainty’. What is surprising, however, is the sheer scale of the Corporation’s failure to meet its Charter requirement of impartiality. A paper by News-watch published today (January 26) by Civitas, based on a collation of research conducted into the BBC’s EU coverage over the past 18 years, chronicles the immense problems for the first time. The paper also demonstrates that the Corporation’s complaints process is not for purpose. It is a self-serving mechanism for kicking impartiality issues into touch rather than dealing with them honestly, independently and robustly. The only remedy, it is argued, may be a judicial review or a public inquiry. News-watch has been monitoring BBC output since the European Parliamentary elections in 1999. This work is based on rigorous academic principles followed by university media schools around the world. There are 38 reports covering hundreds of hours of EU output and 8,000 programme transcripts, and it is believed to be the largest systematic study of the media ever undertaken. Of 4,275 survey-period guests talking about the EU on BBC Radio 4’s flagship Today programme between 2005 and 2015, only 132 (3.2 per cent) were supporters of the UK’s withdrawal from the EU. In 274 hours of monitored BBC EU coverage between 2002 and 2017, only 14 speakers (0.2 per cent of the total) were left-wing advocates for leaving the EU, and they spoke only 1,680 words. In the same period, Tory pro-EU grandees Kenneth Clarke and Michael Heseltine made between them 28 appearances, with contributions totalling 11,208 words – over nine times the amount of airtime allocated to all left-wing supporters of Brexit. More recently, in October-November last year, of 68 non politically allied speakers in the Brexit-related coverage on on Today, 52 were anti-Brexit or pro-EU, and only 16 were pro-Brexit or anti-EU, an imbalance of worse than 3:1 – despite the Leave vote. The News-watch reports also include detailed textual analysis which confirms that these blatant numerical imbalances are indicators of across-the-board bias against EU withdrawal. The Corporation’s stone-wall excuse boils to that they are the wrong kind of complaint because the internal BBC process deals only with issues arising from single programme editions. 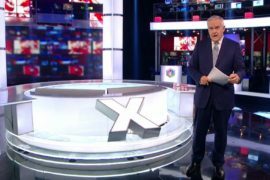 The most recent dismissal of a News-watch report – about coverage of the EU and Brexit issues in last year’s General Election http://news-watch.co.uk/wp-content/uploads/2017/10/News-watch-2017-General-Election-Report-1.pdf – was derisory. Without providing any evidence, the BBC press office claimed that it ‘would not pass basic academic scrutiny’. The speed and content of their response suggested that they could not have properly read it http://www.telegraph.co.uk/news/2017/10/22/bbc-invited-third-pro-eu-eurosceptic-speakers-appear-election/. Another key point in the equation is what the BBC have not covered in the Brexit terrain. The News-watch work has been championed in Parliament by a cross-party group of MPs which includes Kate Hoey and Kelvin Hopkins from Labour, Philip Davies and Philip Hollobone from the Conservatives and Ian Paisley from the DUP. Sir David Clementi, the BBC Chairman and his predecessors, and Lord Hall, the Director General of the BBC, have refused to meet the group to discuss the bias issues – and have been unable to supply to it a single BBC programme since the referendum which has examined the opportunities of Brexit. News-watch has been scouring the schedules to spot one – but in vain. A central part of the New BBC Charter is that appeals about complaints are now handled not by the BBC itself, but Ofcom, the independent sector media regulator. This change – recommended in a report to the former culture secretary John Whittingdale by Sir David Clementi, who has since become BBC chairman – was trumpeted as a way of ensuring independence of outlook and greater fairness in the complaints process. So how is this panning out? Well, it has taken nine months for what seems to be the first BBC-based complaint to find its way through to the Ofcom Content Board. The complaint was submitted by Gavin Hunt, an avid viewer of BBC1’s Question Time, who tracked the 25 editions of the programme in the series running from January 2017, and found that 22 had panels which contained a majority of EU Remainers. This, he claimed, showed significant bias against the Leave case. The Ofcom response is contained in a five-page letter which can be read here. They based their findings on only two of the editions of the programme. This was because the Content Board thought it would not be ‘proportionate’ to examine all 25. Instead they picked the two programmes which had five Remainers and no supporters of Leave. One of these, the Board decided, was irrelevant to the complaint because it was broadcast from Salford soon after the Manchester Arena bombing, and there was no EU-related content. 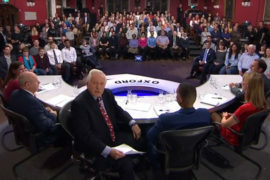 Thus their inquiry was into the edition – from Oxford – broadcast on April 27, the panel on which was Damian Green (then Work and Pensions Secretary), Clive Lewis, the shadow Defence Secretary, Jo Swinson, the former Liberal Democrat MP, Stephen Gethins of the SNP, and Camilla Cavendish, a non-affiliated peer who was an adviser of David Cameron. Has the General Election been called for the benefit of the Conservative Party and not the country? Is tactical voting undemocratic or a way to prevent Hard Brexit? 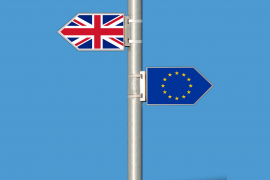 …we considered that there were also views expressed which could be described as supporting Brexit in some form, or otherwise challenging the Remain position. For example, Damian Green disagreed with various statements that were supportive of a Remain position. He said most people had not changed their mind since voting in the 2016 EU Referendum (“the referendum”), and although he was part of the referendum campaign for Remain, he respected democracy and the referendum outcome. 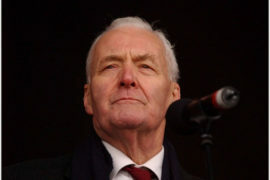 He also: rebuked Tim Farron for saying the Liberal Democrats would frustrate the Parliamentary process for introducing Brexit; stated a strong and stable government would get a good Brexit deal; the referendum outcome ruled out membership of the Single Market and being subject to the European Court of Justice; and argued that Brexit had to mean more control over immigration and our budget. We considered that these were views that could be reasonably described as supporting what may be termed a form of “Hard Brexit”. 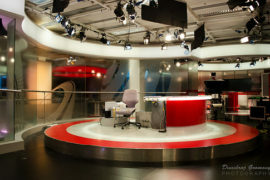 There are a range of editorial techniques that broadcasters can use to preserve due impartiality. In the case of Question Time, the role of the presenter, David Dimbleby, is crucial. In our view, and as evidenced in the Oxford and Salford programmes, Mr Dimbleby consistently provides critical challenge to panellists’ stated positions, summarises with due objectivity and, where necessary, offers alternative viewpoints. Panellists themselves also challenge viewpoints put forward by their fellow panellists. Alternative viewpoints are also expressed by audience members, who are given the opportunity to challenge statements made by panellists. In essence, therefore, they turned the complaint down, basically on the ground that first, Damian Green expressed the Hard Brexit perspective, and also because, in Ofcom’s judgment, host David Dimbleby ensured that debate was marshalled fairly and impartially. Was this ruling robust, independent and fair? Eyebrows might be raised by that Ofcom only looked in detail at one of 25 programmes, and considered that Damian Green’s remarks added up to an expression of support for a ‘Hard Brexit’ perspective, especially as Mr Green is on record as not supporting it. Some would also wonder how on the basis of only two programmes out of 25 – one of which contained nothing of EU coverage, the subject of the complaint – the Content Board were sure that David Dimbleby’s handling of his ringmaster’s role was always as balanced as they decided. News-watch released last weekend a pair of meticulously-researched reports that exposed yet again the BBC’s continued serious bias in the reporting of Brexit. One survey showed that during the General Election, there was a heavy imbalance towards anti-Brexit opinion; the other, that over 18 years, the Corporation has covered left-wing views in favour of withdrawal at only derisory levels – thus effectively ignoring the views of at least 3.5m Labour voters who supported Brexit. The BBC’s response? In a word, abuse. The Press Office – utterances from which have to be sanctioned at the highest level – claimed, in effect, that the News-watch work was not worth the paper it was written upon. They said:”We do not recognise the allegations made by News-watch and to describe this as a ‘report’ would be a gross overstatement for what is a defective and loaded piece of work which wouldn’t pass basic academic scrutiny”. Their evidence for this unpleasant ad hominem attack? Zilch. News-watch has been trying to get the BBC to engage with News-watch reports for 18 years, but they never have. The Corporation claims with bull-headed obstinacy that the so–called complaints procedure precludes consideration of such detailed analysis – complaints must be confined to single programme issues. In addition to the Press Office attack, BBC personnel, including the editor of the Andrew Marr show, then also engaged in a twitter storm of insults against the News-watch reports (h/t Craig Byers of Is the BBC Biased?). The next stage in the saga was that on Monday, the website Open Democracy – a principal funder of which is George Soros – added more ‘ad hominem’ vitriol about News-watch, its methodology and its funding. A full-scale hatchet-job. Was this coincidence? Or the BBC co-operating, or working in tandem with, attack dogs who share the Corporation’s views about Brexit? 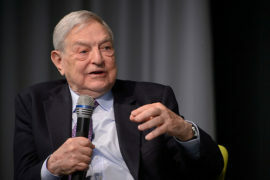 Whatever the chain of cause and effect, it is certain that Open Democracy and the entire Soros empire are engaged in a full-scale battle to prevent the UK leaving the EU. Its contributors include Roland Rudd, the brother of Amber Rudd, who was a major figure in and behind Britain Stronger in Europe, the designated Remain organisation. Mr Rudd is the UK lynchpin in the aggressive £13.7 billion drive by Soros – the amount he has just donated to his ‘charitable’ interests such as Open Democracy – to achieve EU integration, allow fully open borders, and smash the nation state. And what was the evidence for the Open Democracy attack on News-watch in terms of the BBC bias ? Open Democracy canvassed the opinion of an academic called Dr Tom Mills, who works at the University of Aston and is linked to group which seriously believes that the BBC is right-wing. Like the BBC, it seems he had not read the reports properly before commenting. Every News-watch survey contains a clear outline of the methodology. His point about ‘a rather crude coding framework’ is utter tosh. Even a cursory reading will reveal that the classifications involved in the surveys are complex, nuanced and highly detailed. They are most definitely not – as he implies – binary or simplistic. Perhaps what Dr Mills is actually trying to say rather crudely that putting on fewer supporters of Brexit than those who oppose it doesn’t matter. The reality of News-watch funding is that it is a minnow. Costs amount to the tens of thousands. Donors include a charitable foundation, individuals from a variety of backgrounds (and political affiliations) but none of them have any influence (or have ever had) on the content of reports. By contrast Open Democracy, according to its website, receives millions of pounds from a variety of left-leaning trusts and Soros-related sources, all of which clearly want to subvert democracy by reversing the Brexit vote. And as noted above, this is all part of an £13.7 billion effort by George Soros and his many-tentacled empire to reinforce and expand the European Union. And to topple democratically-elected governments. Aided and abetted by the BBC? The survey covers EU content in the campaign period (3 May to 7 June) of the 2017 General Election on BBC1’s News at Ten and BBC Radio 4’s Today programme. In the 74 hours of combined airtime, 10 hours and 59 minutes were devoted to EU affairs – 14.7% of the available space. There was clear Europhile bias in guest speakers. Of the 375 contributors, 189 (50%) were pro-EU or negative about Brexit; 140 (37%) were anti-EU or positive about Brexit; and 46 (12%) were neutral. Thus, in an election where Brexit was a pivotal issue, across the two BBC flagship programmes there were a third more pro-EU/anti-Brexit speakers than those who supported leaving the EU. The differential on the Today programme was greater: two-thirds more contributors were opposed to Brexit than supported it. Across the two programmes, only 62 speakers (16.5%) had campaigned or voted ‘Leave’ in the 2016 referendum, with only four from the business community appearing on Today and just one on News at Ten. This bias applied across all areas of coverage, and was made worse by BBC correspondents and presenters. They one-sidedly emphasised the difficulties of Brexit; examples are detailed at pages 61-63. This was compounded by the BBC’s so-called Reality Check Team, which put further undue weight on the disadvantages of leaving the EU. For example, Chris Morris, the unit’s EU ‘expert’, posited as certain that halting immigration would have negative economic consequences, when this was disputed by many. Coverage of the political parties was clearly inspired by the negative editorial input, and Conservatives who appeared in relation to EU issues were toughly scrutinised. By contrast, the Labour party’s policy towards the EU was hardly examined at all. There were only two interviews with a serving shadow minister about Brexit, both with Angela Rayner, whose portfolio was actually education. Keir Starmer, the shadow Brexit minister, was not interviewed at all. This severe bias by omission is detailed in our other report ‘Leave and the Left, 2002-2017.’ It left ambiguous and almost unexplored the party’s approach to the key issue of the election. These headline criticisms of the coverage, supported by the detail of our 164 page report, show that the BBC’s coverage of the 2017 General Election was not impartial and was therefore in breach of its Charter. This paper examines the BBC’s coverage, since 2002, of those on the left who wanted to leave the EU, including during the 2016 Referendum and the 2017 General Election. Data is from 30 individual News-watch surveys, analysing over 5,500 hours of BBC output, and 274 hours of EU-related content. 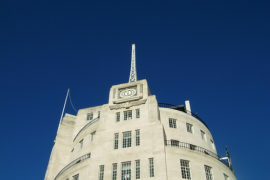 The BBC’s editorial values commit it to reflect ‘a breadth of diversity of opinion… so that no significant strand of thought is knowingly unreflected or under-represented.’ However, News-watch has found that left-wing arguments for Britain to leave the EU have been avoided on the BBC’s flagship news programmes, in spite of prominent MPs, trade unionists, journalists and commentators from the left supporting the policy, and polls suggesting that up to 3.5 million Labour voters in the 2015 General Election subsequently voted Leave in the 2016 referendum. The paper shows that a total of 6,882 speakers contributed to this coverage, but that only 14 (0.2%) of the total – one in 500 – were left-wing advocates of Withdrawal; the majority of these appearances were too short to explore their views in any detail. In total, those 14 guests contributed 1,680 words to the debate, but approximately one third of them came from a single 531-word Gisela Stuart appearance on Today, in which her actual contribution in favour of leaving the EU amounted to just 49 words. So only 1,198 words across the entire 30 surveys came from left-wing speakers making any sort of case for Withdrawal, an average of 86 words per contributor. In comparison, during the same period, strongly pro-EU Conservatives Ken Clarke and Michael Heseltine made between them 28 appearances with contributions totalling 11,208 words – over nine times the amount of space allocated to all left-wing withdrawalists – with an average contribution length of 400 words. BBC audiences were thus made fully familiar with right-wing reasons for Remain. They were, by contrast, kept in the dark about left-wing/Labour support for leaving the EU. Core left-wing arguments against the EU have been ignored, for example: the EU’s prohibition of state aid to protect jobs, the threat to the NHS from the TTIP agreement, the EU’s treatment of the Greek socialist government and people, unemployment in the eurozone, import tariffs for developing countries, and the belief that the EU has evolved into a ‘neoliberal marketplace’. Between 2002 and 2014, there were only four left-wing contributors who supported Withdrawal in the Today Programme’s EU output, adding up to just 417 words. There were more than twice as many appearances on EU matters in this period by the British National Party (BNP). In the 2015 General Election campaign, despite the proposed EU referendum being a central issue, there was only one interview with a left-leaning advocate of Withdrawal. During the referendum itself, there were only five contributions from Labour supporters of Brexit totalling 161 words (1 minute 31 seconds) on BBC1’s News at Ten, and none at all on BBC Radio 1’s Newsbeat. In the Radio 4 collection of post–referendum programmes, The Brexit Collection, there were only two left-wing supporters of Brexit, and their contributions were minimal. Even though Withdrawal had evident cross-party support in both Parliament and the country at large, the BBC saw it as a right-wing policy causing ‘splits’ within the Conservative Party, while ignoring ideological disagreements and debate elsewhere on the political spectrum. The absence of voices offering alternative perspectives in the BBC’s coverage led to the creation of a false dichotomy: forward-thinking, progressive, open-minded, anti-racist pro-Europeans set against the bigoted, inward-looking, nationalist, anti-EU faction. Despite having been alerted to this failure by News-watch over the last fifteen years, the BBC has continued to deny a voice to millions of the electorate. Had left-wing arguments for Brexit been properly aired, it is entirely feasible that a greater majority of the British people would have voted to Leave. It’s national hate crime awareness week. This is a full-scale effort, involving the Crown Prosecution Service, police forces, the Home Office and the Ministry of Justice, and sundry anti race hate groups, many of which are tax-payer funded. ‘Hate’ in this context covers such crimes generally – against the disabled, religions, different sexual orientations, and race – but the principal focus is on race because the bulk of such crimes (78 per cent, according to late Home Office data) fall into this category. Centre stage in this campaign, of course, is the BBC. True to form, they last week produced a Panorama programme in which sinister Brit thugs – fired up by the Brexit vote – were attacking anyone from the EU they could find. Over on This Week, they then gave a platform to a transgender person who declared that ‘the white race’ is ‘the most violent and oppressive force of nature on earth’. Aiding the Corporation? Step forward Superintendent Paul Giannasi OBE, the National Hate Crimes Coordinator, who runs for the National Police Chiefs’ Council (NPCC) the portal for reporting hate crime. No, he is not a secret member of UKIP. Rather, he is part of a Facebook group called ‘We Love Europe’, and boy, does he. Mr Giannasi believes that the Brexit vote was a change ‘unwanted and unexpected’ that was an ‘expression of the tyranny of democracy’ which was ’caused by political arrogance, thirst for power, idiotic fears, prejudice, bigotry and incredible stupidity’. And let’s not forget the special contribution of Hillary Rodham Clinton. On a book-plug visit, she was given oodles of BBC airtime to reject Brexit. Nigel Farage, she claimed, duped the British people with the ‘big lie’ – about topics such as immigration – and then went on also to sabotage her own election as US President. In fact, the BBC declared war on Brexit, using race hate claims as a main weapon, over a year ago. It was among the most avid in reporting an alleged ‘spike’ in such offences after June 23 (of which more later) and then wrongly claimed on August 31 that the death of a Polish man in Harlow was a ‘frenzied’ murder triggered by post-Brexit race hate. But what is the truth about ‘race hate’? Everything about the way it is framed and reported should send alarm bells about the veracity of any figures involved. First, it’s almost certainly the easiest crime on the statute book to register, because, uniquely, alleged incidents are recorded by the police on a self-report basis via their specially-established website, True Vision (run by Supt. Giannasi). All a ‘victim’ has to do is register the ‘crime’ – and hey presto, it’s in the stats. At a time when – as The Sun reported this week – police forces are working flat-out to limit ‘by hundreds of thousands’ the number of recorded burglaries, shop thefts, and even minor assault charges, they are simultaneously transferring their efforts to the ‘hate crime’ domain. The key supporters of the Stop Hate UK charity, for example, include a clutch of police forces. Second, the definition of a ‘hate crime’ is also unusually loose. Such an offence is deemed to have been committed if the victim, or any witness of the incident, thinks they have been subjected to ‘hate’. This ease of reporting has been accompanied by a mushrooming of associated interest groups, spearheaded by the government’s primary service provider, Capita, and this has no doubt contributed to rising volume of ‘race hate’ claims. This ‘increase’ was trumpeted yet again this week in the annual hate crime figures released by the Home Office, covering until the end of March. True to form, the BBC’s report of the statistics is accompanied by a pic of one of the sinister-looking, Pole-hating thugs it had trawled Britain to find for its special Panorama edition. These statistics show that there has indeed been a rise in recorded hate crime, from 62,518 in 2015-16 to 80,393 in 2016-17. But in the context of the lax self-report procedures, what does this prove? Does it reflect a rise in actual incidents? Or perhaps far more likely – in tandem with the vast amounts of money being spent in this arena, combined with publicity from the BBC, and the Remain faction generally – simply that there is increased awareness that such ‘crimes’ can be reported? Whatever the reason, Amber Rudd’s Home Office was keen to stress the alleged ‘spike’ in race attacks and crimes after June 23 last year because of the Brexit vote. But drill down deeper into the report, and it quickly emerges that this, too, must be treated with a great pinch of salt because it is, to quote the report, based only on ‘anecdotal evidence’. These figures also fail another vital acid test. The Crown Prosecution Service is responsible for bringing hate crimes to court and made clear in its annual report, also published this week, that this is a major priority. What do their stats show? Well in the last year – despite everything noted above – the number of hate crime prosecutions fell by almost 1,000 over the previous year to 14,480. In other words, the number of so-called hate crimes with sufficient evidence to go to court is in sharp decline, despite all the resources and efforts being expended. On that basis, of the 80,000 race hate ‘crimes’ reported to True Vision, only about 18 per cent will be tested in court. And the reaction? This BBC report emphasises in great detail the rise in number of recorded ‘crimes’, does not enumerate the fall in prosecutions, and has a long sequence about a Muslim ‘victim’ who concludes: “I really think it’s important for us to report, no matter what.” Of course. The BBC seems to have appointed Radio 4 Today presenter Nick Robinson as its defender-in-chief. Back in April, he told those who thought the Corporation was biased against Brexit that they were wrong. The referendum was over, so there was no longer a need to strike a balance between the two sides. He has been in action again, this time delivering a speech in honour of his friend, the former BBC Panorama editor and media pundit Steve Hewlett, who died of cancer at the age of 58 earlier this year. It can be read in full here. The message? In Robinson’s opinion the BBC is doing very well indeed, thank you. News output is not biased. This is proved, apparently, by that complaints emanate from all parts of the political spectrum and there are appearances by such controversial figures as former Chancellor of the Exchequer Nigel Lawson. Of which, more later. The first thing to note is that his analysis is not based on any verifiable evidence. No surveys seem to have been conducted. On top of Lord Lawson, Robinson picks out mentions of Nick Griffin here, of Nigel Farage there, to show the inclusion of the ‘right-wing’ figures. But none of his observations are backed up by anything other than his own subjective judgments. And he conveniently misses out here that almost every time Mr Farage has been interviewed by the BBC, he has been treated as a racist, told he is incompetent – and very rarely asked about withdrawal itself. More recently, too, of course, he was shamefully and ludicrously accused on BBC2 Newsnight of having ‘blood on his hands’ over the death of a Polish man in Harlow when nothing could be further from the truth. Robinson claims that the BBC is: ‘…staffed by people who – regardless of their personal background or private views – are committed to getting as close to the truth as they can, and to offering their audience a free, open and broad debate about the issues confronting the country.’ Well that’s OK then. Of course they are. His analysis boils down to that the BBC – in Robinson’s estimation – is a beacon of light and trust in an increasingly dark world. The biggest threat to journalistic integrity comes from elsewhere: the ‘fake news’ and commentary on websites such as Westmonster. They, unlike the BBC, spend their time peddling untruths and rumour and are making social and political divisions far worse. Yet his invective is deeply flawed and It takes only moments to unpick it. Take Lord Lawson’s appearance. He is mentioned as an example of someone who was invited (in August) to appear on Today, even though many thought he should not be allowed to outline his views on climate change. Robinson claims that this was an example of the BBC’s even-handedness and fairness. But what he then adds proves sharply otherwise. First he stresses that Lord Lawson got his facts wrong – and then claims ‘we’ (the magnificently unbiased staff of the Corporation?) ‘must say so’. This, however, was a risible misrepresentation of what actually happened. First, Lord Lawson only appeared at all because the arch-global warming alarmist Al Gore was first invited on Today. He was treated with kid gloves, with virtually no challenge, as he outlined that man’s impact on the climate was intensifying to catastrophic proportions. To ‘balance’ these highly contentious claims, the interview with Lord Lawson was then arranged. But the odds were stacked against him in that he appeared with with two other alarmist figures who countered his every claim. Lord Lawson made one minor error over statistics. But he immediately owned up to it and a correction was issued. His slip did not affect his basic points that Gore and the climate alarmist faction have been making outlandish and scientifically unsupported claims for years, and continued to do so. Robinson also did not mention that immediately after Lawson appeared there was an outcry – reported at great length on the BBC – from climate activists, including the BBC’s own favourite populist ‘scientist’ Brian Cox, who said Lord Lawson’s appearance should never have been allowed. To ram home Lord Lawson’s error, two more alarmists appeared on Today. They both rubbished everything Lord Lawson had said – with barely a squeak of opposition from the programme’s presenters. This adds up to a ratio of at least 5:1 against Lord Lawson. This is the sort of ‘fairness’ that actually operates at the BBC on controversial issues. For more than a decade, the Corporation has accepted that climate alarmism is warranted and, arguably, its reporting in this sphere adds up to its own campaign to prove it. The conclusion? Nick Robinson’s speech as a whole, and especially in the mention of of Lord Lawson was, to put it mildly, disingenuous. His appearance on Today did not show, as Robinson claimed, that the BBC allows dissenting voices to appear and is fair to them. The reality is that the BBC has a skewed agenda in this domain, and any opinions expressed by Lord Lawson were both swamped and twisted. So, too, with Nigel Farage. Robinson accused in his speech those who write for blogs of living in a bubble. Even if they do, it’s nothing compared to the one surrounding the BBC’s approach to editorial impartiality. Last week, the key people responsible for making UK television programmes gathered for the biennial Royal Television Society Cambridge convention, aimed at tackling the main issues facing the industry. What emerged from the gathering rammed home that as long as public subsidy drives and feeds the industry, those managing it seem less concerned with entertaining and informing audiences than with meeting – with obsessive zeal – targets linked to social engineering. Those addressing the £1,500-a-head delegates in the rarefied elegance of King’s College included the chief executive of Sky, James Murdoch, the culture secretary, Karen Bradley, the new BBC chairman, Sir David Clementi, and the chief executive of Ofcom, Sharon White. The main topic of this stellar line-up? Perhaps the increasingly serious skew against Brexit on television news programmes? Or why Britons should continue to be forced to pay £147 a year through the BBC licence fee for programmes they don’t want? Or why the BBC is on a hell-for-leather mission in almost every element of its output to undermine British values and culture and to push a Left-wing perspective? No. The main preoccupation and source of worry of Messrs White, Clementi and Bradley was – maybe you’ve guessed it already – diversity. Never mind better programmes; each of them, with a manner reminiscent of medieval penitents, told the gathering that they and the industry must do better and continue to work flat out out to ensure that there are more ethnic minority faces on our screens and in the workforces of production companies. No matter that in the 16 years since former BBC Director General Greg Dyke described the Corporation as ‘hideously white’, enormous efforts have been made to recruit and reflect ethnic minorities, and the diversity monitoring initiative Project Diamond has been set up – the framework for achieving change would make the Stasi’s recording techniques look modest. It emerged with a vengeance that the changes are not considered to be enough. Leading the charge was Ofcom’s Sharon White. Ofcom, of course, under the new BBC Charter, now regulates aspects of the Corporation. In an interview with the BBC Newsnight interviewer Kirsty Wark (who else? ), Ms White outlined her pride that under her regulatory watch, a new industry-wide intensified regime of form-filling, box-ticking quotas is now being rigorously implemented. Especially in her sights in this respect, however, it emerged, is her new charge, the BBC. Not content that, according to BBC management board member Baroness Grey-Thompson, the Corporation must, if necessary, spend up to £100million on meeting diversity targets, Ms White noted censoriously that recent figures in the domain were rigged because they included the BBC World Service. That, she said, would definitely not do (or count), because lots of ethnically diverse people already worked there. Must try harder. Much harder. Ms White also revealed that no matter what is achieved with ethnic, gender and disabled diversity, another issue was troubling her and was now in her sights. Class, of course. Straight from what sounded like the Corbyn and McDonnell text book on class war, she told Ms Wark, in effect, that far too few working-class people were currently employed across the industry, and that this, too, must be remedied. She was not yet sure how, but was working on it as part of her drive towards ‘transparency’. Be very afraid. It turns out that the BBC – always keen to spend public money on such causes – has, in fact, pre-empted her. BBC Director of Radio James Purnell, the former Labour Cabinet minister who was privately educated and is an Oxford graduate, said at the convention that, in an effort to reduce numbers of ‘privileged’ employees, the Corporation was already experimenting with ‘anonymised’ recruitment, which involved redacting from job applications names, places of education and home addresses. He is reported to have said he would ‘love’ to introduce, as another part of this process, new social class targets to combat the BBC’s ‘tendency towards hiring privileged people’. The problem, he claimed, was that almost 25 per cent of managers went to private schools, compared with only 7 per cent in the UK population. ‘We don’t have targets on socio-economic [backgrounds] but we’re thinking about it . . . We would love to have a target, we would be very happy to do that,’ he told the Daily Mail. Another who addressed the conference, as an after-dinner speaker, was Tony Blair’s henchman-in-chief, Alastair Campbell. Surprise, surprise, they did not invite Nigel Farage. It is said that Mr Campbell had been warned ‘not to bang on’ about Brexit. But, according to reports, he disobeyed. Under the splendid hammer-beamed ceiling of the King’s dining hall, he asked the delegates how many supported Brexit, and invited a show of hands. There was none. That perhaps says it all about the state of the television industry. Out of touch with audiences, unconcerned about and uncomprehending of its deep bias against Brexit, and focused on ethnic and class diversity rather than programme quality and appeal.